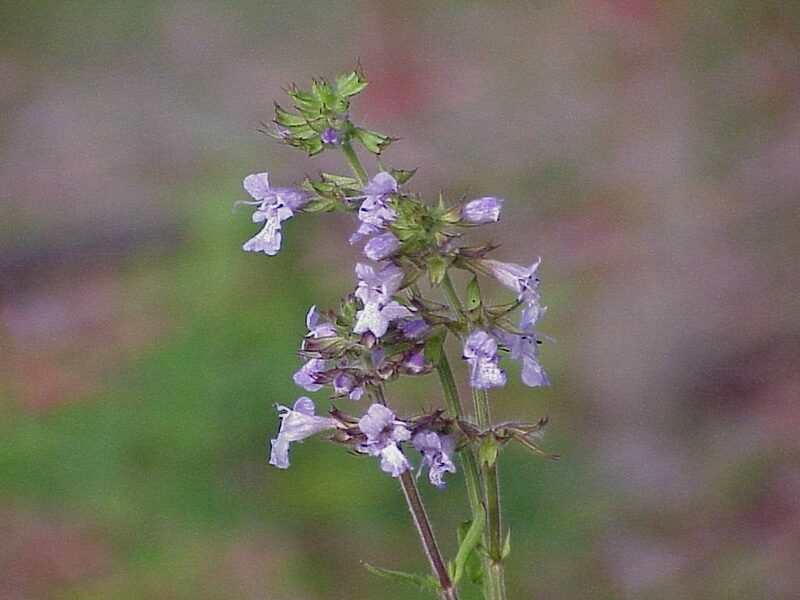 Lyreleaf sage, Salvia lyrata, is a native perennial wildflower in the Laminaceae, or mint, family. 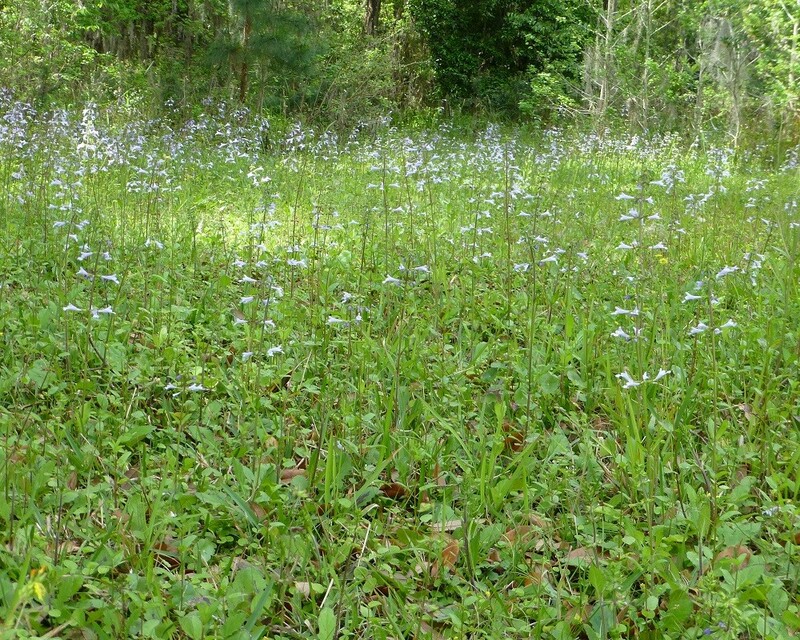 It occurs naturally in roadsides, thickets, and disturbed sites throughout the southeastern United States. It grows in just about every condition except in, or near, salt water. The leaves are usually absent on the stem. Most of the leaves appear in a rosette at the base of the plant at ground level and can grow to a length of about eight inches. The leaves are a dark green with some having maroon splotches through the center. The margins of the leaves may be toothed, entire or lobed. Some appear ‘lyre’ shaped, hence the name. A lyre is a small, hand held, harp. The stems are square as with most mints. The flowers are pale blue and appear in late winter and early spring at the top of a tall stalk, which can reach 24 inches in height. If one keeps them dead headed they will continue to bloom, however I cannot dead head acres of it so I let it go and generally only get one good set of blooms with an occasional stray bloom here or there. I’m sure if it were regularly watered and fertilized it could be much grander flower. In the home landscape it grows in part-shade to full sun with average moisture. The individuals of this native wildflower are not that impressive, but in mass they are beautiful. I spread seeds along the edges of paths, the driveway, and wooded areas where the grass will not grow. 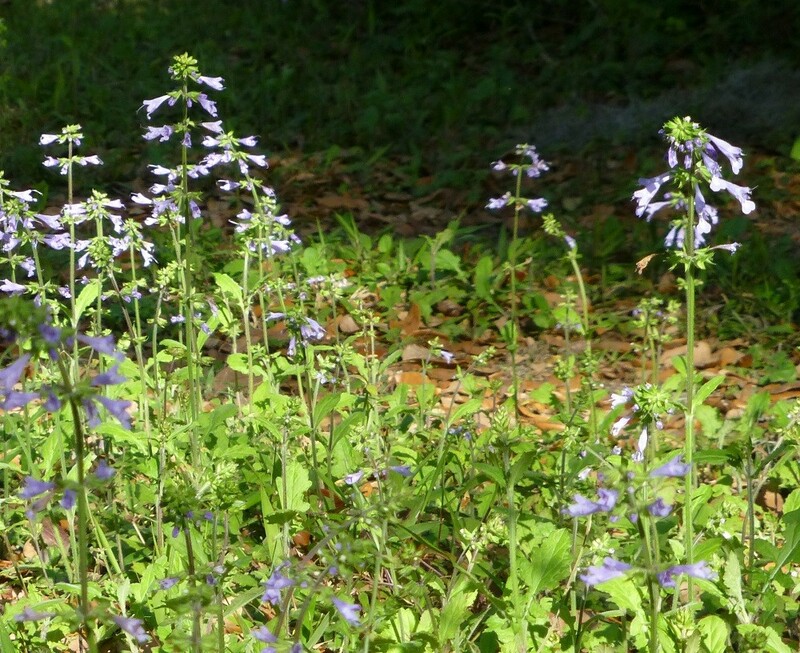 A lot of my property is shaded by large oaks and little grass will grow so I allow lyre leaf sage to fill those areas. It is not generally a good plant for flower beds because it reseeds so readily and can quickly take over. However, it is excellent along path or forest edges grown in mass. In order to attempt to keep it contained in specific areas I mow it off, once the migratory birds have moved on, making sure to blow whatever seeds may be left into the area where I want it growing and not in the walking path next to it. It is a fantastic source of nectar for butterflies and bees in late winter when little else is blooming. 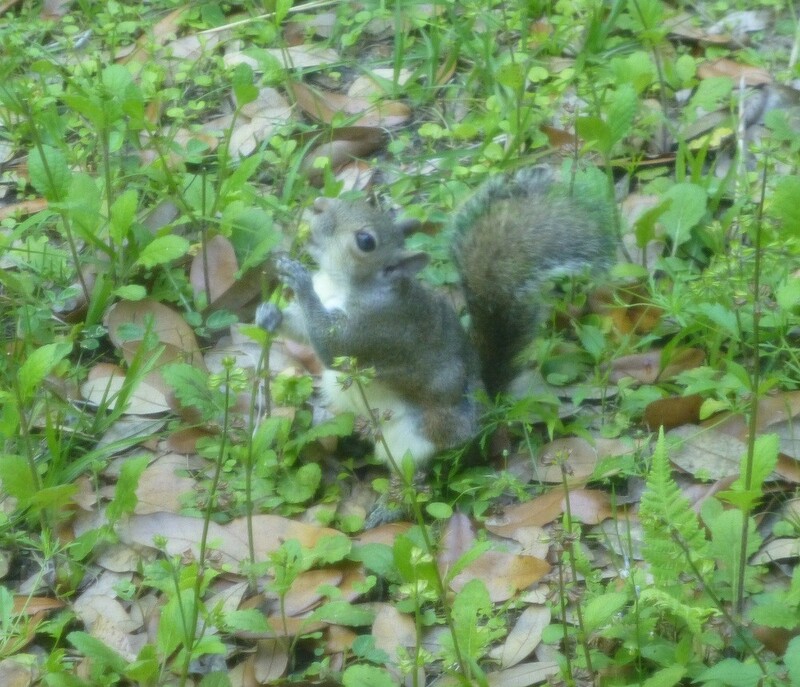 Migratory birds such as gold finches use it as a source of food in the winter as do gray squirrels. Propagation is easily achieved by sowing seed, or transplants. The seeds need light to germinate so should not be covered more than an eighth of an inch. When collecting seed stalks it is best not to let them go totally brown all the way up the stalk because once they have reached the brown stage most have fallen out of the pods already. Pick then when there are still several green seed heads near the top of the stalk. When transplanting it will help the plant recover from the shock more quickly if you remove any flower stalks. Be sure to keep it watered until it becomes established. Buy lyreleaf sage seeds here! Buy lyreleaf sage plants here!